My name is Rick Regan and I am the author of this site. I have a B.S., M.S., and Ph.D. in computer science (and no, not from Binary University College 🙂 ). All told, I have been using, studying, and programming computers for almost 30 years. OK, so that qualifies me to write about binary. But why do I want to? 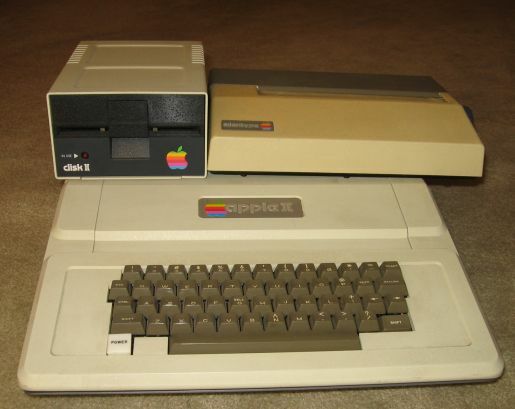 The Apple II I Used in High School. I think the desire started when I was reading my Apple II owner’s manual in 1980. It talked about bits and bytes and how software could communicate with hardware. I was more interested in how the computer worked than what it could do for me. In 1983 and 1984, my interest was stoked anew when I took two digital logic design courses for my computer science electives. I was amazed at how all this complicated technology boiled down to just “0s and 1s.” But I had no time to ponder this philosophically; there were degrees to pursue, programs to write, jobs to tend to, …. 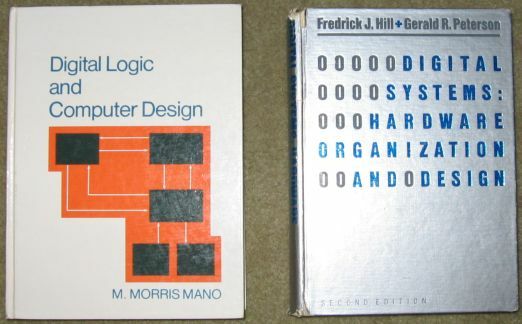 The Digital Logic Design Textbooks I Used in College. After 20 some-odd years, I finally got a little time to explore — and now share — my thoughts. It turns out it’s a good thing I waited. It wouldn’t have been possible without the internet. Next Next post: Exploring Binary is Live!